​After more than six years of failures and billions of dollars spent the US missile defense system managed by Boeing has successfully hit a mock enemy warhead over the Pacific, the US Defense Department confirmed. “This is a very important step in our continuing efforts to improve and increase the reliability of our homeland ballistic missile defense system,” said Missile Defense Agency Director Vice Admiral James Syring, after a successful test of the Ground-based Midcourse Defense (GMD) system – the only US defensive system theoretically capable of intercepting intercontinental ballasting missiles midcourse. Syring added that all components involved in the test performed as designed. The performance of the system in Sunday tests will now be analyzed for several months using data obtained during the intercept. The target hit was an intermediate-range missile launched from the Marshall Islands. The simulated launch was then tracked by the US radar systems that communicated the coordinates of the target to the ground-based interceptor, located at Vandenberg Air Force Base in California. The warhead – EKV Capability Enhancement II ‘kill vehicle’ – built by Raytheon Co, was successful in destroying the target. Three previous attempts to test GDM’s ability to hit the simulated enemy target failed despite the scenarios being specifically scripted for success. 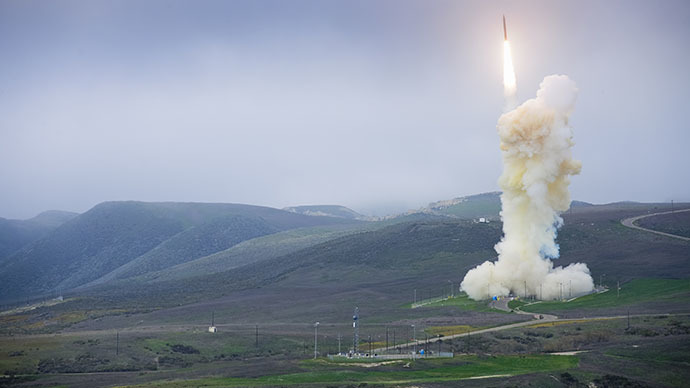 In fact the last time the US Missile Defense Agency (MDA) had something to brag about was in December 2008, when the system intercepted and destroyed a missile launched from Kodiak. The government funded project is estimated to cost the American taxpayer over $40 billion by 2017. Chicago-based multinational Boeing Corporation partnered up with the MDA back in 1998. The system was upgraded to “operational” in 2004 to counter the “North Korean threat.” In December 2008, the MDA awarded the company a $397.9 million contract to continue development of the program. Boeing is responsible of managing the team of other subcontractors, as well as integrating and testing the GDM system under the Development and Sustainment Contract, awarded in December 2011. Boeing is tasked to provide the US government with round the clock operational capability through the use of multiple land, sea and space-based sensors to detect and track missile threats during their boost phase. In order to annihilate the threat, the system is designed to launch a three-stage solid booster Ground-Based Interceptors (GBIs) equipped with an Exo-atmospheric Kill Vehicle (EKV) towards the target while it’s still in space, outside the planet's atmosphere. The EKV is then supposed to destroy the hostile missile “using only the kinetic force of direct collision,” the company says. Before Sunday tests, only 8 of the total 17 hit-to-kill intercept tests have succeeded. With 47 percent success rate. In response to the repeated failures, the Pentagon had previously demanded a budget increase for the program. The National Defense Authorization Act for Fiscal 2014 requires MDA to improve the kill assessment capability and the hit assessment capability of the GMD system as early as 2018. The bill authorizes $100 million for design and development of common kill vehicle technology for an upgraded enhanced exo-atmospheric kill vehicle for the GMD system, an increase of $30 million above the budget request, the Center for Arms Control and Non-Proliferation reports. “Would you spend $1 billion on an insurance policy that only worked one third of the time?” said Tom Collina, research director at the Arms Control Association. “We need to put the money into making the system better, not bigger,” Reuters reports. MDA currently has 30 ground-based interceptors in California and Alaska. Twenty of the interceptors carry an early version of the kill vehicle that separates from the rocket and hits the incoming missile. The other 10 carry the upgraded version of the EKV. In March 2013, the Obama administration announced plans for an additional 14 at Fort Greely in response to North Korean threats. 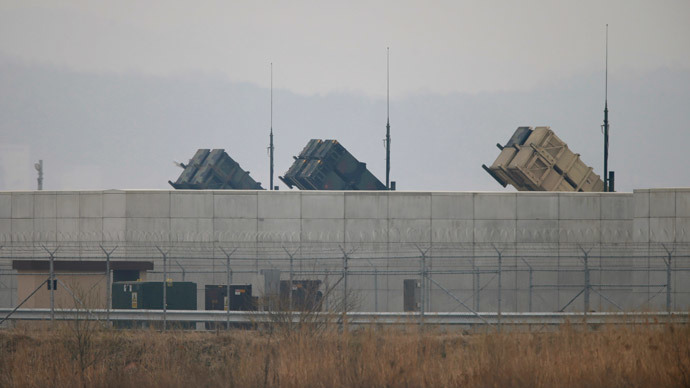 The deployment of a second TPY-2 radar to Japan was announced at the same time. “What makes the recent intercept test failures especially disconcerting is that these tests have occurred under highly scripted and controlled conditions. For example, the GMD system has never been tested against an intercontinental range missile. In addition, the system has yet to prove effective against decoys and countermeasures that an adversary could deploy to fool our defenses,” Kingston Reif from The Center for Arms Control and Non-Proliferation said earlier this year. Pentagon’s Director of Operational Test and Evaluation, Dr. Michael Gilmore in his Fiscal Year (FY) 2013 report to Congress also questioned the capabilities of the GMD. 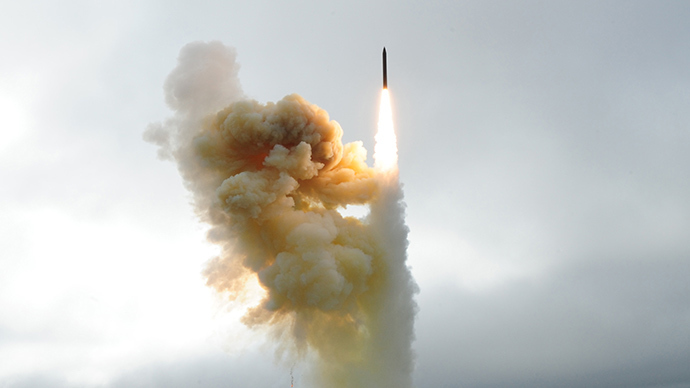 “Ground-based Midcourse Defense (GMD) has demonstrated a partial capability to defend the US Homeland from small numbers of simple intermediate or intercontinental ballistic missile threats launched from North Korea or Iran,” Gilmore's report to congress states. Phil Coyle, a former Pentagon chief tester and a long-time critic, called for accelerated work on a new design. “We need to make sure we have a system that works, not expand a system we know to be deeply flawed,” Reuters quotes him as saying.